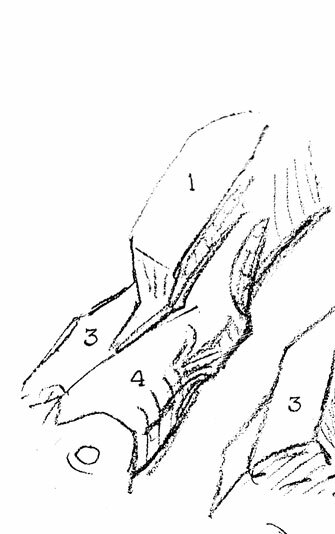 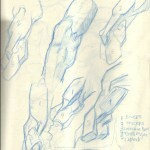 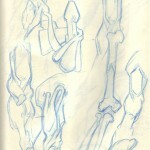 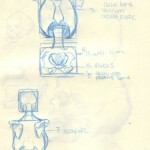 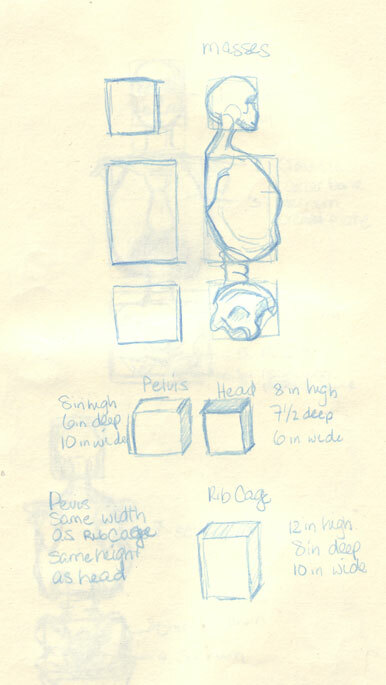 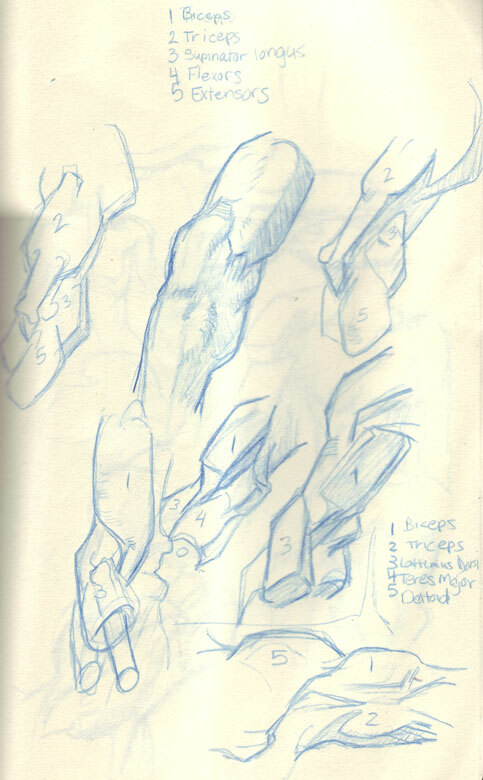 I noticed this blog after idling on Concept Art about different methods of studying Bridgman. 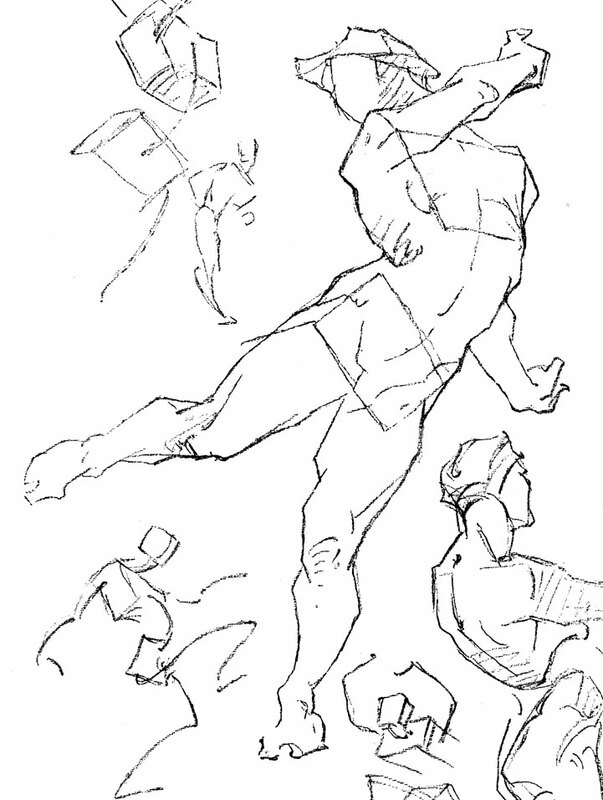 Do a tonal study of Bridgman. 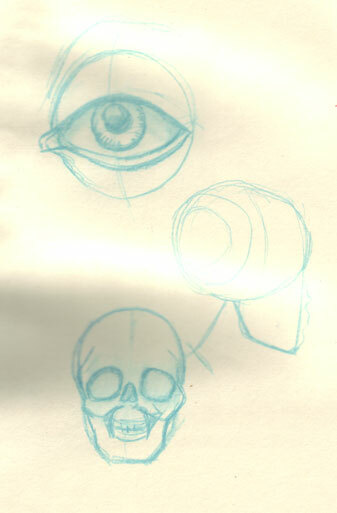 I grabbed my pencil while on the bus and did a few I’ll post the originals so you can compare them to mine. 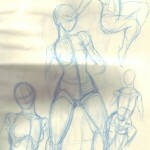 It was a bit harder…I went with mostly sketches so I’d have to figure out the tones myself. 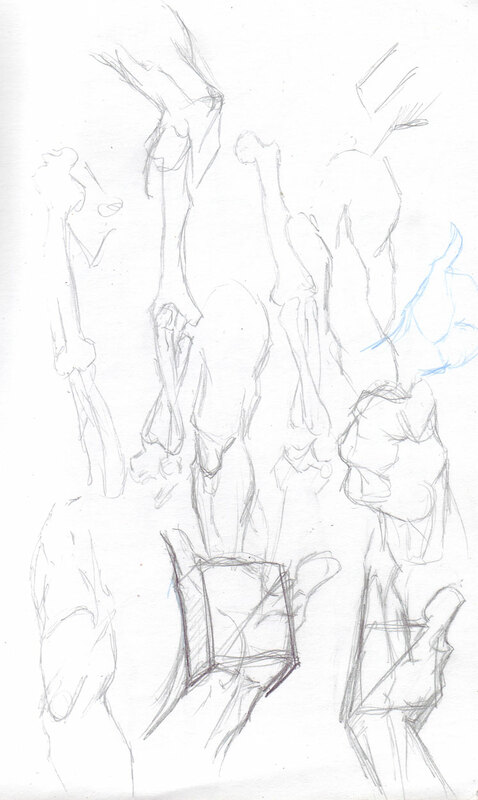 Some of it I had to figure out the inner anatomy. 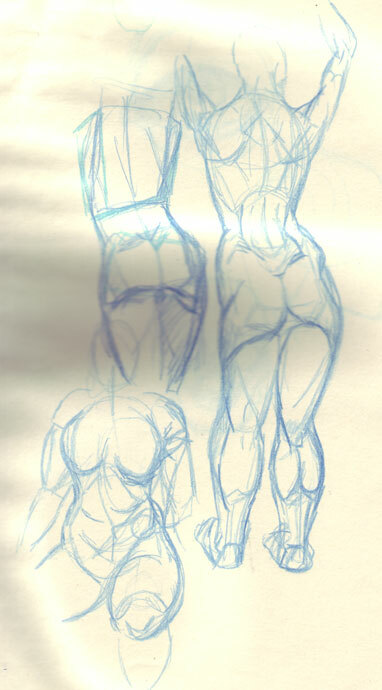 Some fail, but still learning. 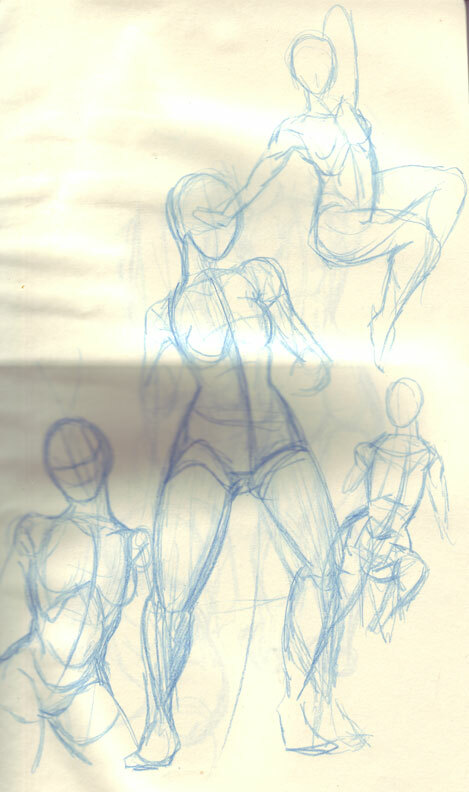 Oh and I have a couple from a year or two ago so you can see the difference when I first attempted to learn from him. 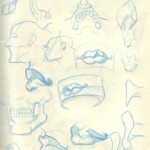 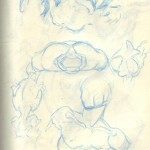 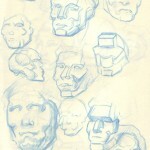 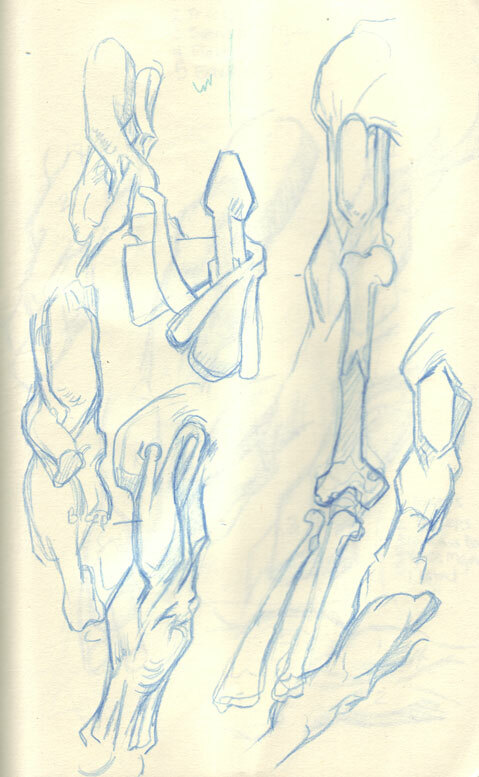 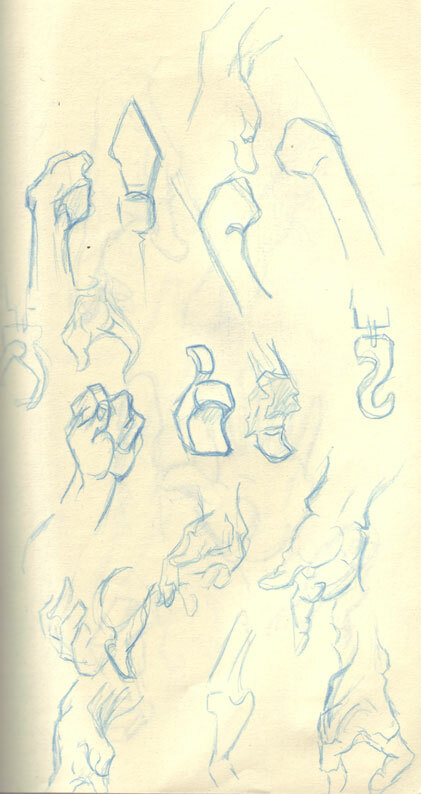 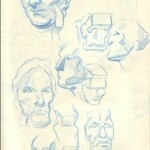 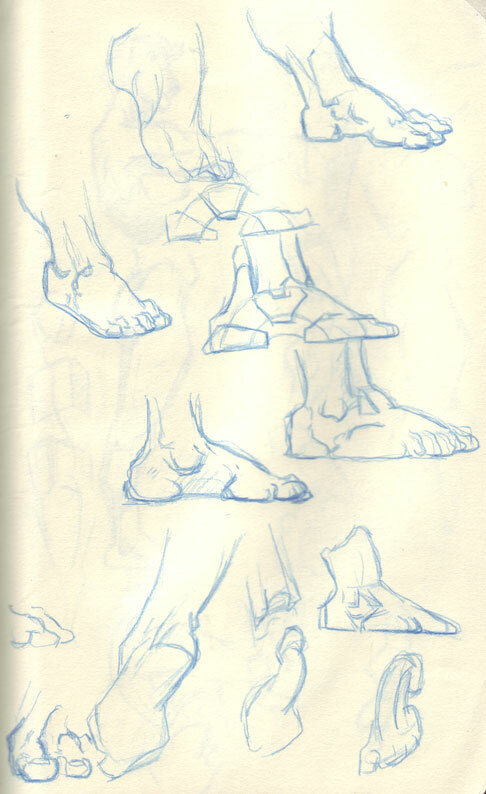 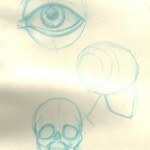 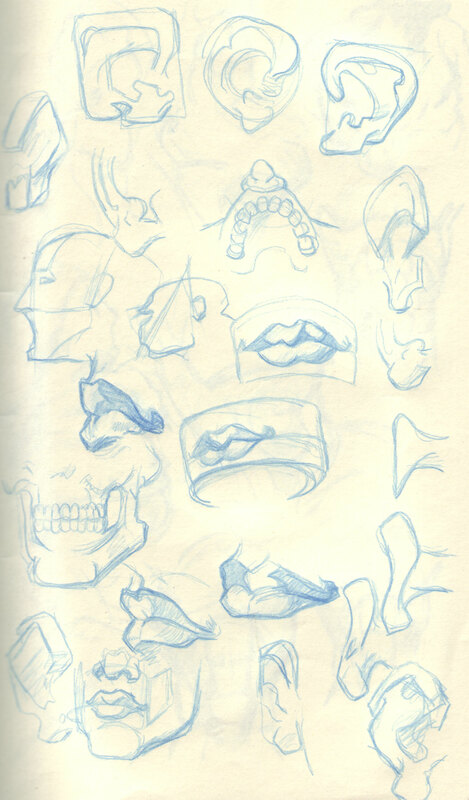 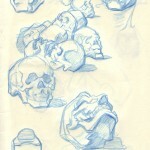 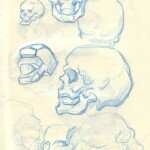 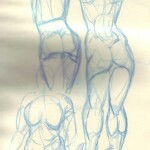 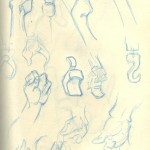 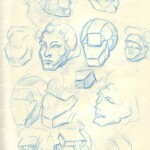 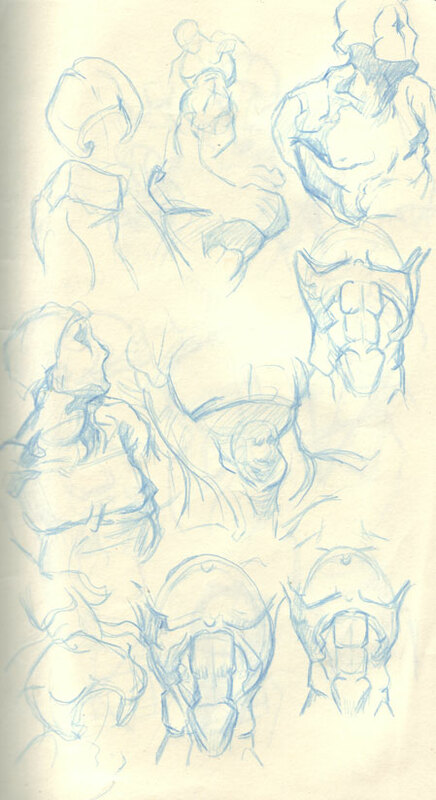 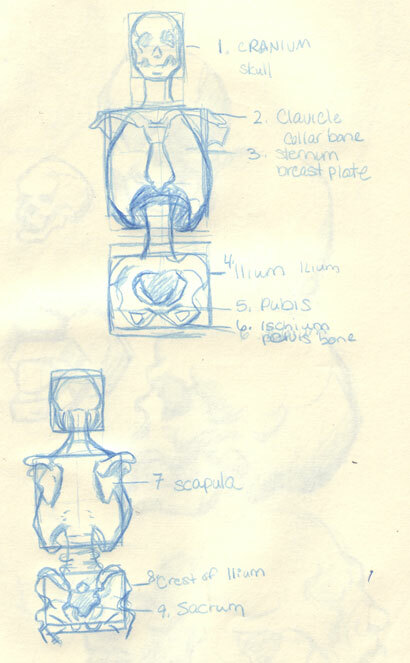 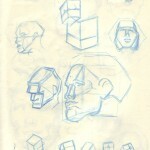 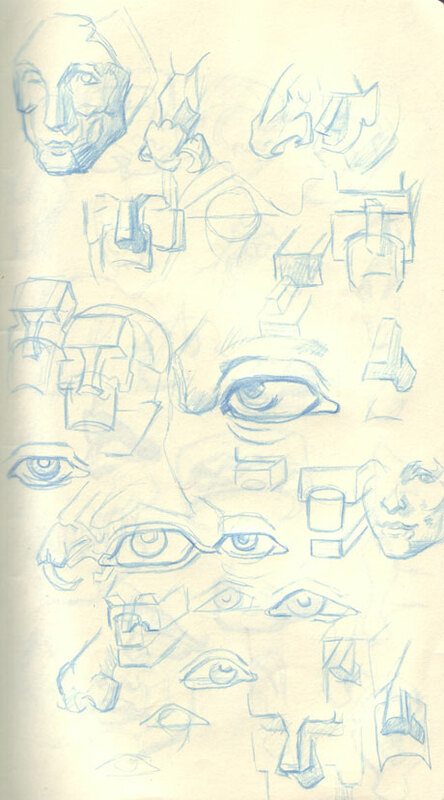 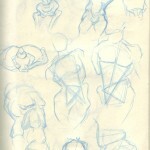 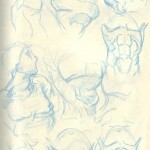 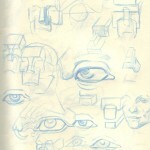 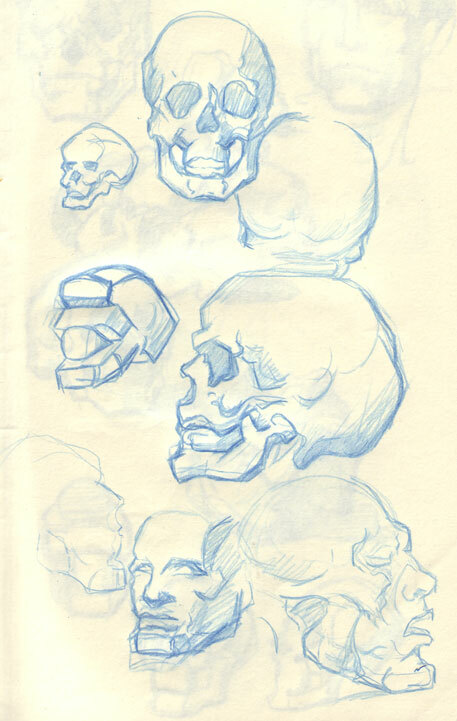 This was was a set of studies I did in a Moleskine Journal. 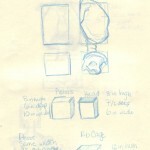 That’s why the yellowish look of the paper. 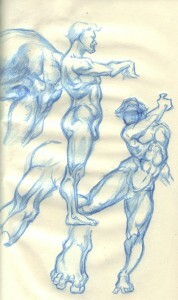 I’d like to get a moleskine sketchbook sometime as I have some painting techniques I could try out in that brand of book. 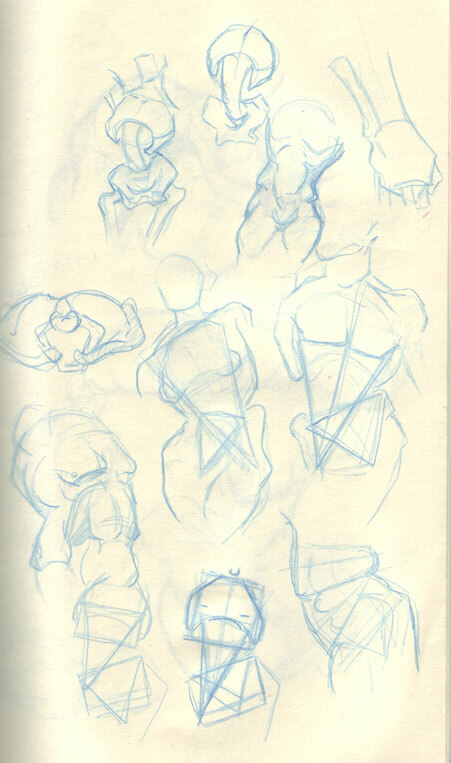 Some of the studies are really warped because the journal had water spilled on it, I switched to another book shortly afterward. 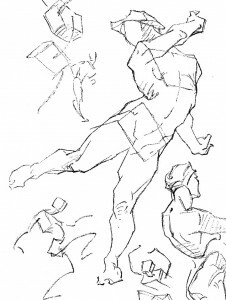 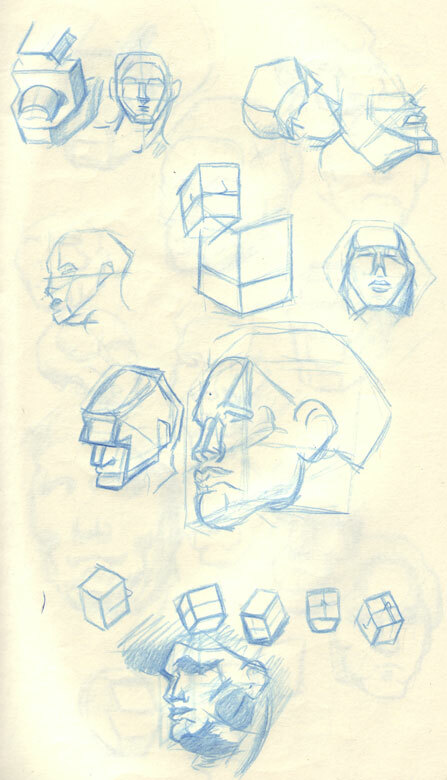 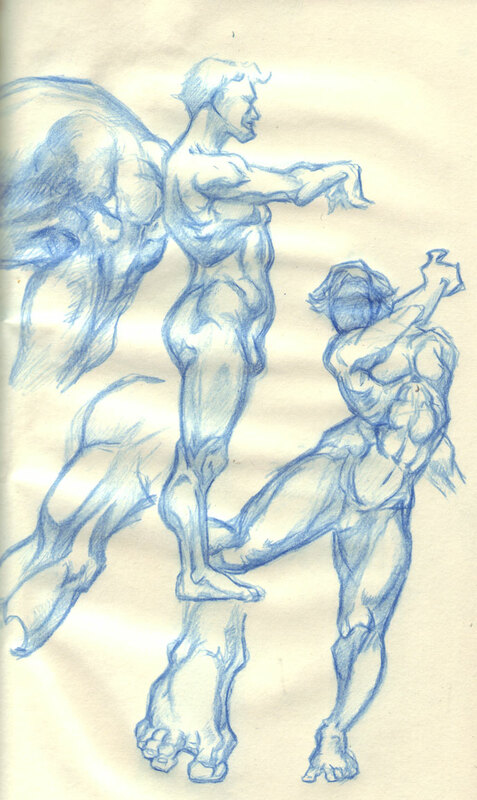 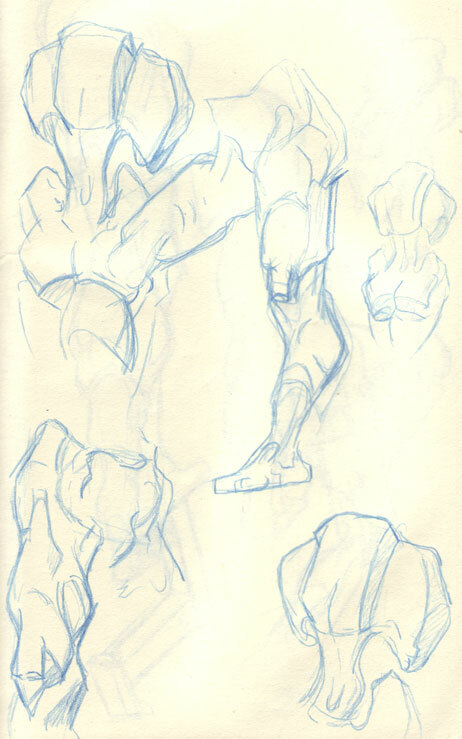 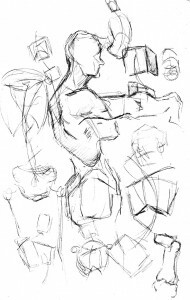 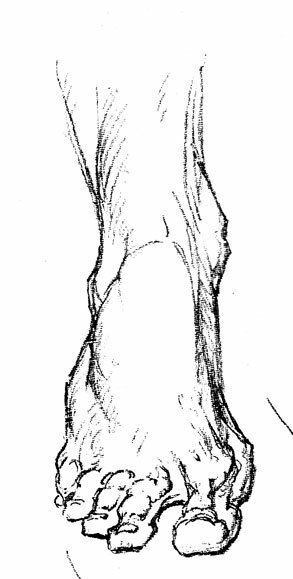 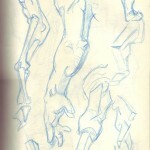 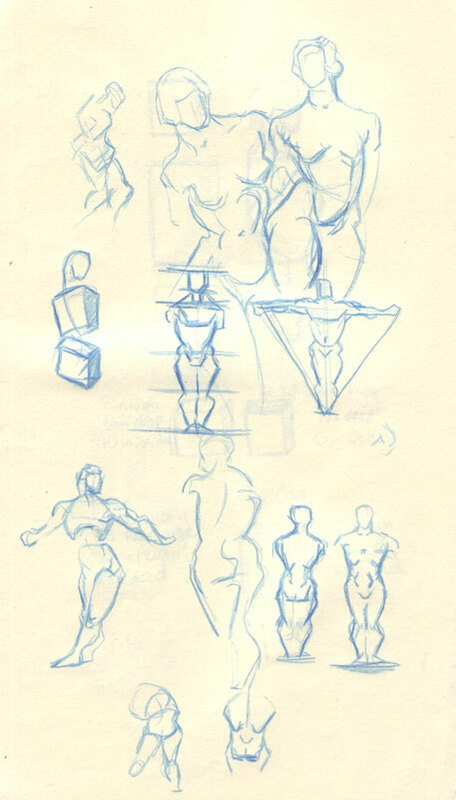 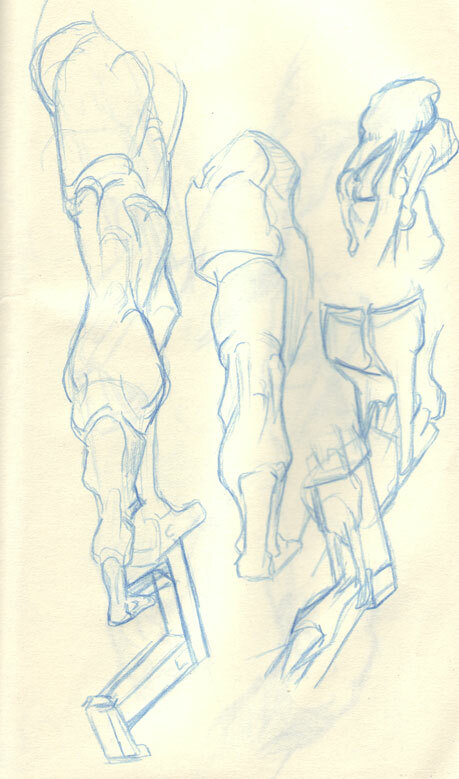 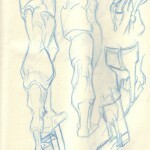 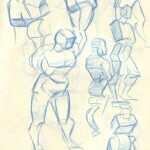 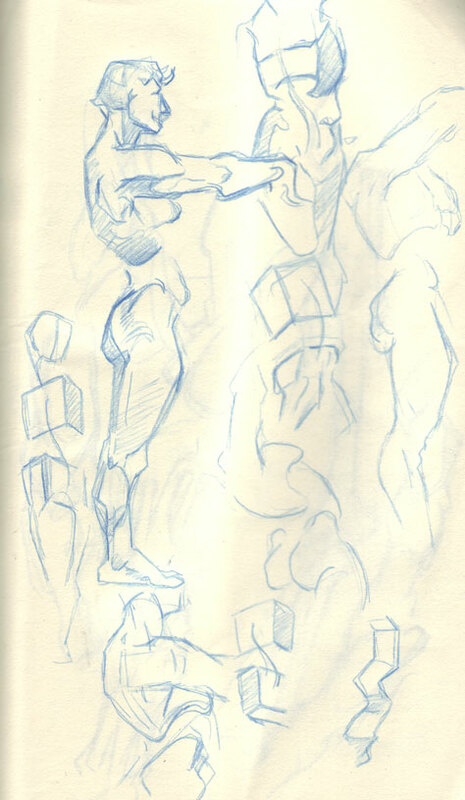 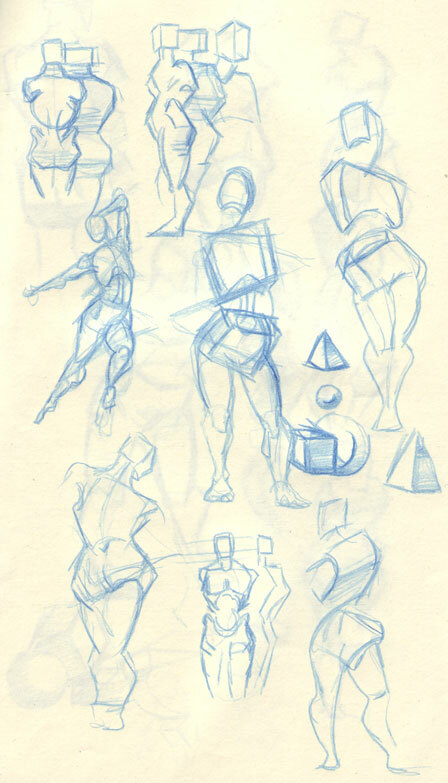 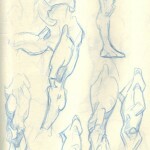 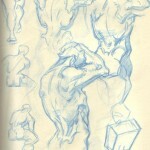 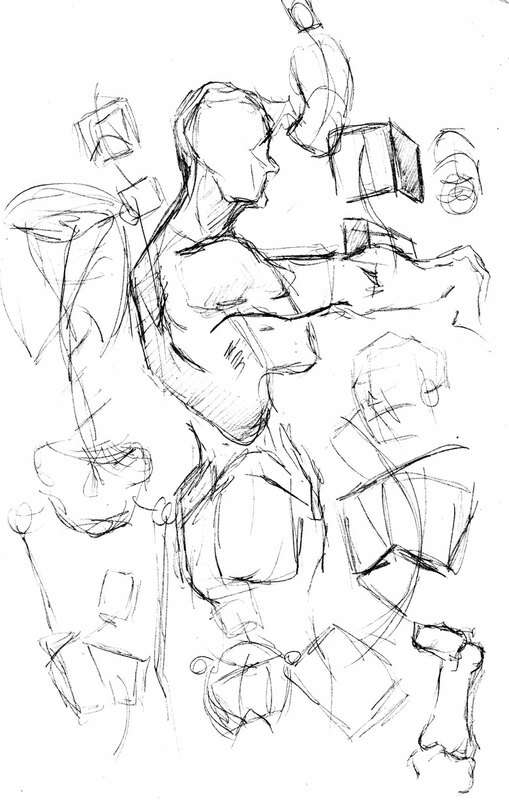 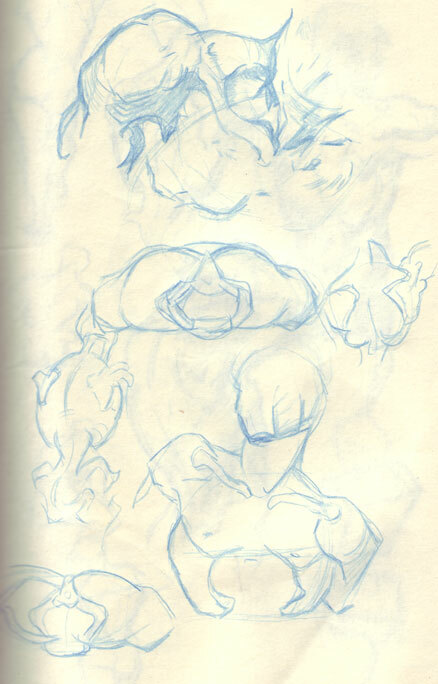 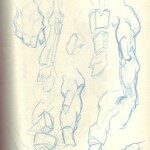 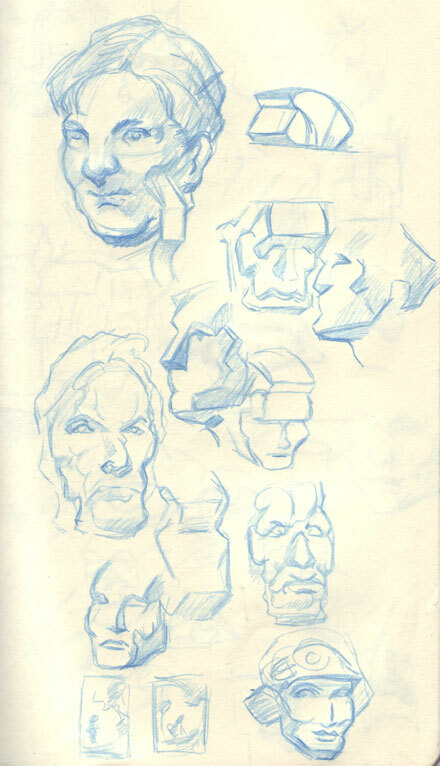 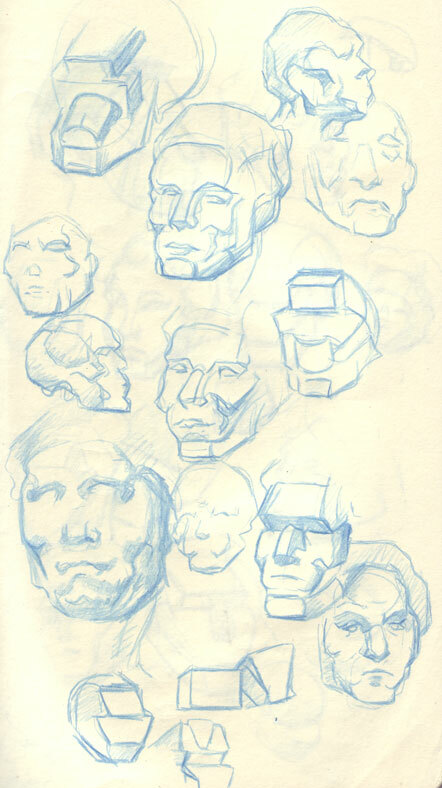 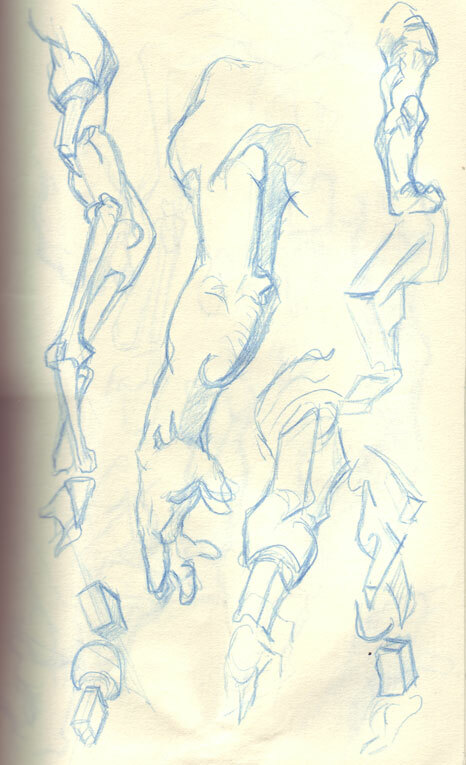 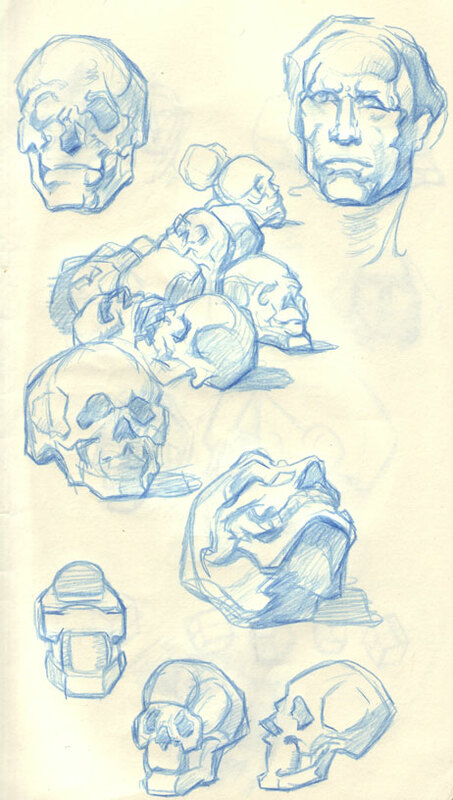 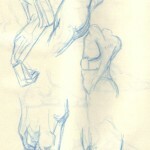 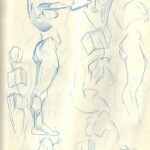 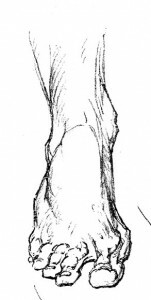 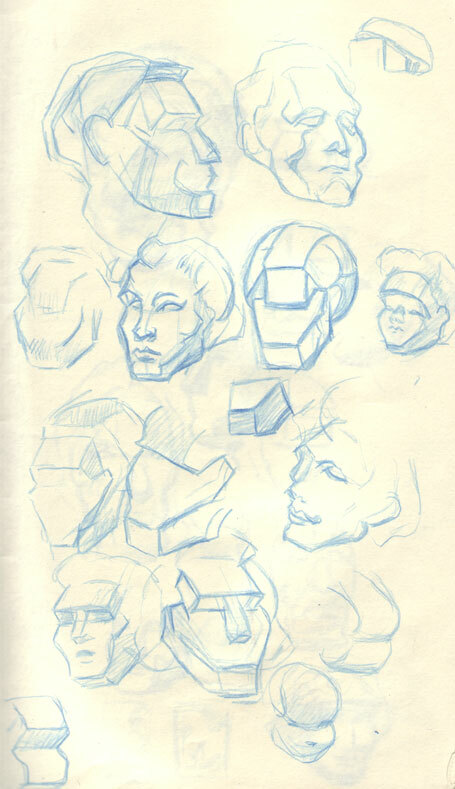 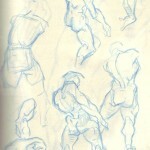 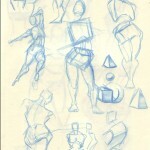 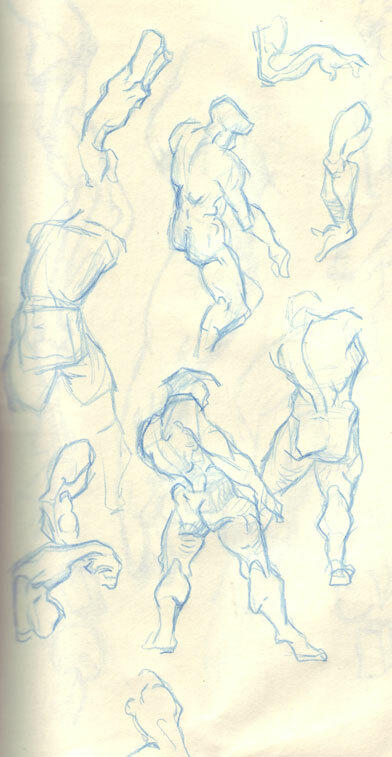 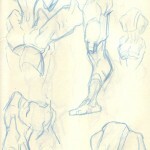 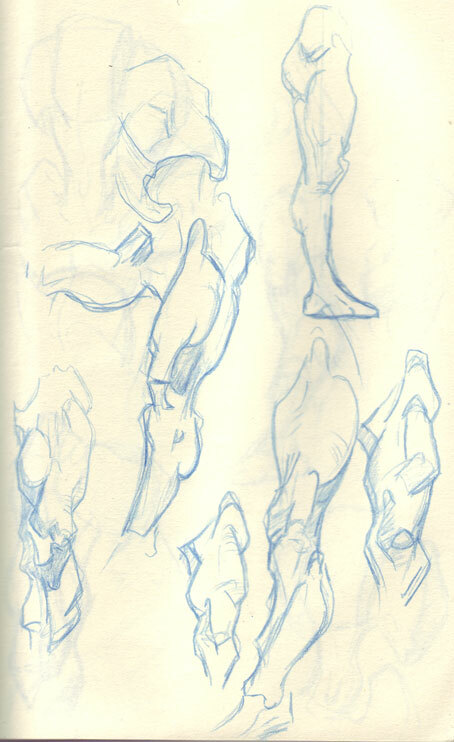 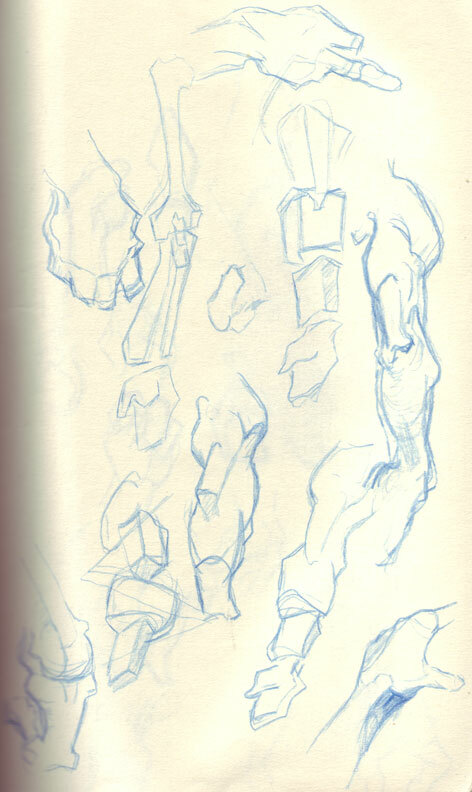 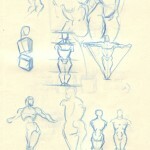 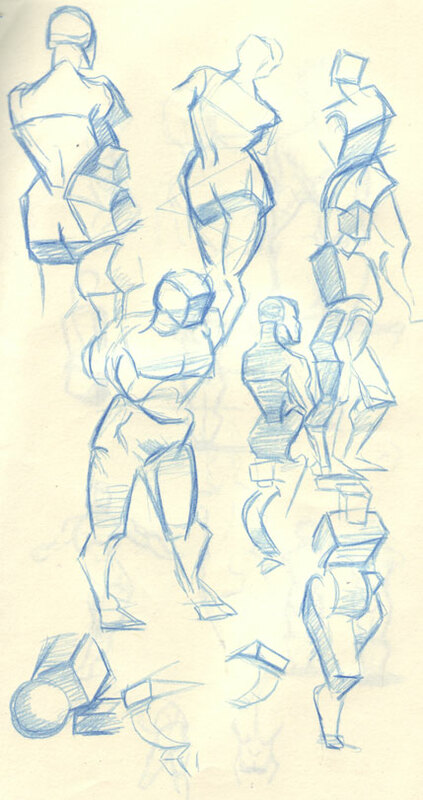 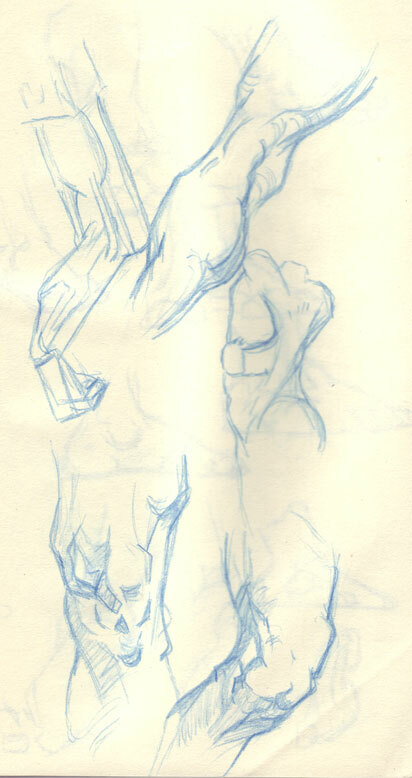 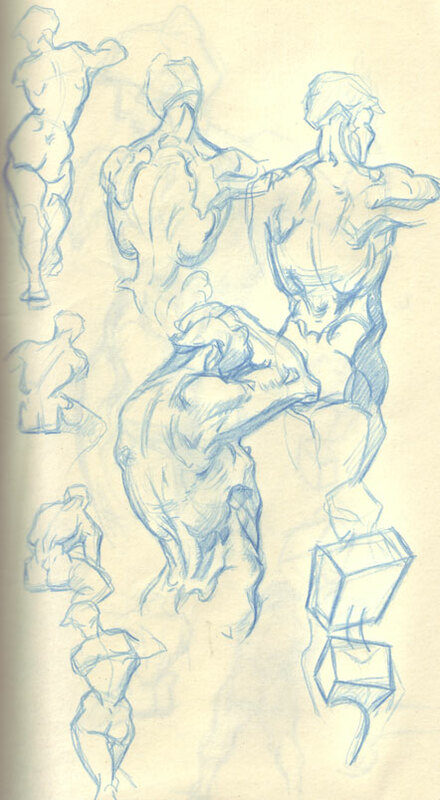 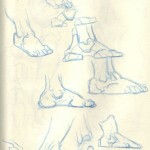 Some of the studies were life drawing studies too, or first attempts at applying Bridgman’s knowledge.